The Stretch Fabric is lightweight and semi - transparent, allowing about 75% of the light to pass through. 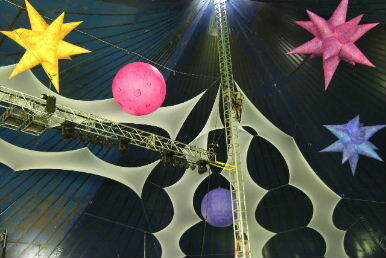 It is very stretchy and can be pulled into many dynamic shapes making sails with nice curves. 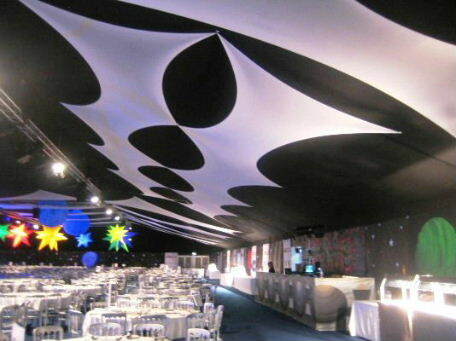 It can be used to fill an overhead space and is a particularly effective for enclosing an area that has a high ceiling. 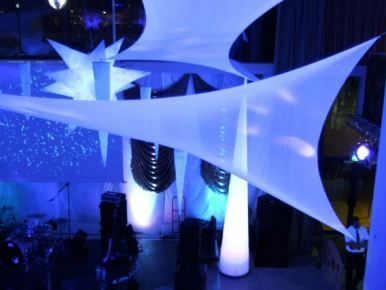 These event decorations can also be used impressively with other overhead features such as Inflatable Stars. The material is such that lights shining onto and through the material leaves accentuated patterns on the surface. 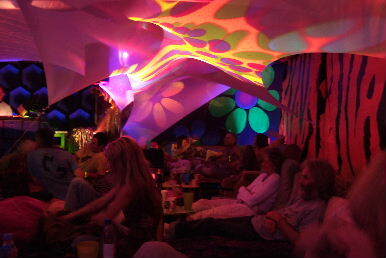 The white stretchy glows under Ultra Violet lighting. We have a range of stock sizes in white available for hiring which have tie off loops already attached, see the table at bottom of page for sizes and prices. Stretch Fabric material can also be purchased off the roll, including wholesale. Stretchy Fabric has been treated to be Fire Retardant and comes with a Fire Certificate. 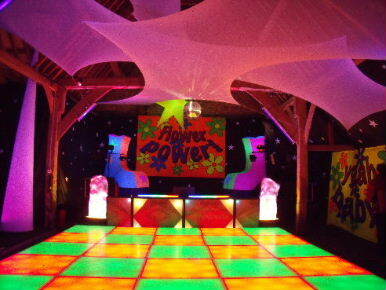 Visual Bliss installation event team can install complex Stretch Fabric Designs for your event, ask for a quote. 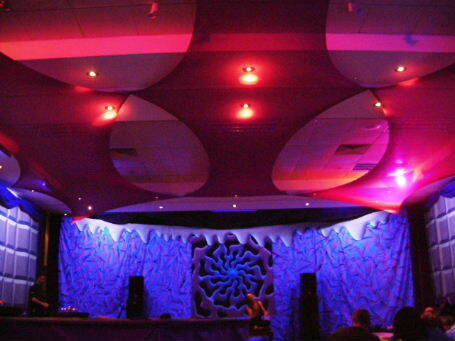 Can be used as projection netting for interesting effects. 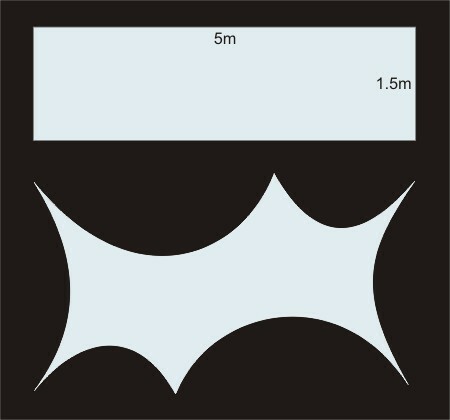 The diagram below shows the shape that a 5m piece makes when tied out.